Optimum 20-bit Hi-D transfers from the original 1975 master mixes, cleaned and tweaked to a fare-thee-well. This is the best this album has ever sounded. Includes the complete featured composition, Pompous Circumstances. THREE DANCES FROM "NUTCRACKER SUITE"
The selections are BMI except where noted. Little did we realize what we were getting ourselves into in 1971, when Rachel Elkind and I asked CBS Records to place a prepaid business reply card inside the package of each newly pressed album. These 6-inch by 7-inch white cards solicited some needed feedback from our early listeners. The message on the rear side requested (in an attractive calligraphy) that listeners use the provided blank lines to write their ideas and comments to send back to us. Would anyone care enough to respond? CBS reluctantly agreed to the idea, initially for a six month trial period. The cards proved popular, and were continued for five years. Embarrassingly, the top line ungrammatically read: "Please mail me quick!" Perhaps that sounded "hip and with it" in those days when one could find a flower in every ear, part of letting it all hang out, or whatever else seemed groovy. It must have struck the right tone all right, for the return stack grew from inches to a boxfull. The need for feedback shouldn't be underestimated. Most other recording artists regularly appear in live performances. One can learn a great deal from an audience, how well you're communicating, where to cut or expand. Since we were forced to work note-by-note, phrase-by-phrase with the clumsy Moog synthesizer, the proceedings would have been ludicrously dull in a concert hall. Those early units were also frustratingly unstable and unpredictable. Work with such tools was both clumsy and slow. Imagine a cross between a juggler trying to spin a dozen plates on wooden poles, and Disney style animators drawing their individual frames -- an essay in gentle, careful tedium, yielding magic only after the long process is fine-tuned and complete. Glenn Gould, the brilliant iconoclast Canadian piano virtuoso who generously championed our electronic realizations, was delighted to abandon live performances just about the time we would have greatly benefited from a few of them. By then Glenn had experienced years of audience feedback (which he neither needed nor enjoyed). Pioneering a brand new medium is a very different experience from grand performances on a grand piano. The analogy with animation is apt. You can quickly lose your way over hours and days, your focus wanders, while you wonder if what you're accumulating is worth the effort and time. The Disney artists constantly interact with one another, their directors, and other members of a creative team. We had no team, and few others we could call upon for perceptive help, people who would also be neutral, and willing to risk offending us. Thus the idea of those prepaid cards was born, and proved to be quite good. At least we did get a significant response. A problem arose. Opinions frequently aimed in exactly opposite directions. When only our first two albums were available, folks mainly asked for more Bach and Baroque. When we got to where I'd been heading--my own original music, folks began begging for more of that, too. Once Sonic Seasonings and our score for Kubrick's Clockwork Orange joined the others, the cards covered a broader range. We'd often smile to read two adjacent cards, the first requesting: "more Bach", the next urging: "less Bach, more original music." Got it. Other composer's works were suggested. Big orchestral potboilers were common, belying the difficulties and enormous time it took with a limited monophonic instrument and a single 8-track recorder to achieve even the polyphony of a small ensemble. The press was partially to blame, supporting misconceptions that this clumsy medium was quick, easy, and even automatic. After all, many early photos of Moog synths focused on the few blinking lights, minimized the keyboards, controls and manual interaction, implying it was some kind of computer, thus it HAD to be automatic, right? Myth and romance still surround the "Moogs." You'd be shocked at what an awkward, overrated device it was to perform expressive, graceful music on! In the end, if I was going to spend months for mere minutes of music, I certainly wasn't going to be pigeonholed into only retreading existing music, when: 1) I'm not that slick a performer, 2) this limited us to transcriptions, not music written for the new medium, and 3) I'm not a half-bad composer. Other reply cards were more helpful, politely requesting more of our musical use of stereo, certain sound families and effects, increased exotic, novel timbres, big theatrical passages, and even that we overlay vocals, chorus, and instrumental soloists -- all fine ideas (thank you!). Wendy Carlos by Whose Request? After issuing Switched-On Bach, TEMPI Productions and Columbia Masterworks were continually bombarded with repertory suggestions from interested listeners for future Wendy Carlos records. Bewilderingly diverse as a list of these suggestions might seem, Wendy and Producer Rachel Elkind anticipated a surprising variety of them by many years; wide-ranging as they are, they only begin to cover the amazing scope of Wendy's uniquely heterogeneous musical interests. Though specialization these days has become even more drearily respectable in the Arts than in the Sciences, Wendy has always resolutely refused to typecast herself. "Pigeonholes," she says, "are just fine--for pigeons." Citing Mozart, Beethoven, Brahms, Stravinsky, Copland, and others too numerous to mention, she claims that a true professional should be able to make good music in a great number of different styles, and in give-and-take with a great many other musicians. She finds that collaboration gives her a valuable parallax on her solitary work. Her most recent such partnership, indeed, with Rachel Elkind, sometimes approaches creative symbiosis, for Wendy is extremely sensitive to the integrity and essential character of a collaborator's ideas, and has the humility to take a subordinate role when the project warrants it. Wendy's serious compositions have been much in demand by listeners. As might be suspected from her broad focus of interests, they cheerfully make use of the whole range of 20th-century styles. Her experiments in the popular genre constitute only a small percentage of her development. She has long cherished the idea of devising a proper format for the publication of the best of her lighter work. This record, then, contains, in addition to much that is brand new, examples from nearly every period and style of her career, all newly re-mixed, some discretely revised and edited. 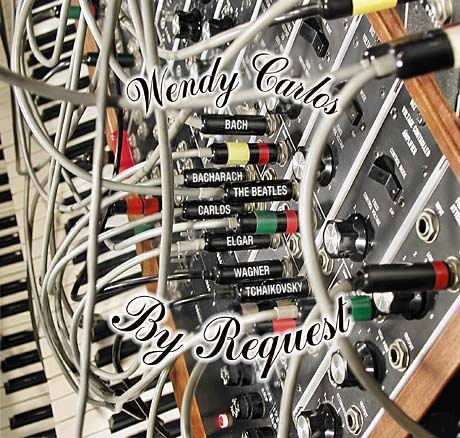 It can truly be said to grant the requests not only of thousands of listeners but also of Wendy Carlos herself. The three "Nutcracker" dance transcriptions are Wendy's first attempts at major romantic repertory. One would never suspect, from listening to these, that the rich plushness of sound and the rhythmic flexibility demanded by Tchaikovsky's music are qualities singularly ill- suited to the basic personality of the synthesizer. Maintaining clarity of texture and tight ensemble through the mixing and sub-mixing of 40 tracks and 62 separate parts would seem to be a nightmarish task. Yet what first struck me about these performances was their high spirits, the unforced suppleness of their phrasing, and the naturalness of their rubatos, ritards, and accelerandi. Without exaggeration, they can be said to represent the state of the electronic art. "Dialogues for Piano and Two Loudspeakers" and "Episodes for Piano and Electronic Sound" are pre-synthesizer pieces dating back about a decade. ("Dialogues," from 1963-1964, is, in fact, the earliest composition Wendy still acknowledges.) Because every note had to be separately recorded and spliced, most composers of that period were content to assemble impressionistic collages of sound, relying heavily on makeshift time-savers such as tape loops, speed manipulation, echo chambers, and ring modulators. Wendy was almost alone in composing clear polyphony. A comparison of these two pieces with her most recent work reveals, of course, ten years of technical progress. Still, the earlier pieces exhibit a lively awareness of the expressive problems of electronics. In both, the piano not only provides total contrast but also imparts to the electronic portions an illusory rhythmic "spring" and spontaneity. Pianist Phillip Ramey's understanding of this special stylistic requirement deserves high praise, indeed. Wendy chose to emphasize the granitic rhythmic severity by a certain implacable, even dour, character in most of the themes of "Dialogues." To this, the accelerating rising scale theme halfway through (seven pieces of tape ranging from seven inches down to one inch long) provides impudent contradiction, provoking the final conflict. "Dialogues," incidentally, is an example of Wendy's periodic use of serial organization. The interval series from which the materials grow is presented, untraditionally, near the very end of the piece in a building chord of electronics, just before the final splash of piano arpeggios. "Episodes" attempts a wider expressive palette: The themes are, by turns, more wistful and more romantic, the piano writing is far more virtuosic. Completed at the Columbia-Princeton Electronic Music Center (where "Dialogues" was wholly composed), "Episodes" was largely realized in Wendy's improvised basement studio at her parents' Providence, Rhode Island, home in the summer of 1964. Included in the Enhanced CD files for By Request is something quite unusual, and we think, rather special. Above you'll see snapshots of the cover and first page of a very limited edition of the full score to the featured track on the album, Pompous Circumstances. This edition was prepared for TEMPI by G. Schirmer & Sons, the renowned classical music publishing firm, during the 1975 initial release of By Request on CBS records. 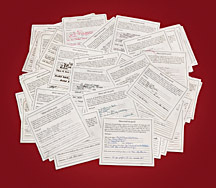 Only 200 copies were printed, which were sent to music reviewers and editors, in addition to a few surprise gifts to those who had been helpful during the album's production. All of these copies have long since vanished. But one protection copy was retained by Wendy, carefully stored in mint condition. There's a mixed blessing in confronting the relics of one's past, especially one's creative works. Yes, we all do evolve during our lives, mostly in gradual adaptation to the real world we face daily. Yet unless we are actually bipolar, most of us find a continuity. Hopefully our appreciation of great foods and the arts expands, and it usually seems to. Yet as a musician I still find my pulse quickens upon hearing some of the masterworks which excited me early on: works by Ravel and Bartok, Beethoven and Brahms, Ellington and Davis, Stravinsky and Respighi. When I face my own earlier creations I find myself slightly torn by hearing something I once knew intimately more afresh than I could while composing and performing the original. There's greater perspective with time. And for the better relics from one's own heart and mind, you can appreciate the good ideas more objectively much later on. By Request was by its concept a wildly eclectic collection of music of many kinds. With the media and recordings available even several decades ago, it was pointless to think one could avoid being exposed to a much broader pallet of musical styles and ideas than an earlier generation of composer would face. You could try to deny it, but it remained in your subconscious. I love the ability to skip over time and style and medium through very different kinds of music, ethnic and historic, leaping gaps without much effort. So By Request does jump around, more than any single album normally ought to, but that is it's whole point. While we were collecting selections, Rachel and I thought we might try to constrain one side of the stereo LP as mostly "serious" music, the other as mostly "pop," more or less (the master tape reels still are so marked). It's not hidden: the first half of this CD, still in the same track order as the original LP editions, IS mostly classical, while the second half flits about with pop and jazz ideas more than any other album I've worked on. While remastering the music, I've been recalling how some of the music had been put together, or why other selections had grown into replacements for a prior idea which had not worked out well. Informally, let me share some of these thoughts with you here. The Nutcracker selections were realized before the synthesizer could manage a rich late romantic style of orchestration. It was ill-suited for the changing tempi, legato phrasing, and tall stacks of instrumental parts. Each line had to be hand played on its own individual track, often upwards of 40 to 50 of them. You stick with that kind of challenge mostly to prove that you can. Later you avoid doing it again, until the instruments finally catch up. By now most of this kind of synthesis can be done with far less effort. (continued on By Request's additional Enhanced-CD files, as explained below). An additional new bonus section, which the above is an extract from, was written expressly for this new edition and is included on the Enhanced-CD files of all By Request CDs. But due to a glitch at the factory, the correct link doesn't appear on the index page. You can still go to it directly. Insert the BR CD into your computer. Open the WC-BR-ECD folder which should now appear. Instead of opening the "index.html" file as per usual, scroll to find a folder named: wcsite. Open it, and inside find the subfolder marked BR. Within that is the correct file: "SeeingOldVisions.html". Just open it in your browser. The rest of the bonuses are found by opening the index file in your browser, as on all our ESD editions. We apologize for the inconvenience. To view all other BR bonuses, open the html file, index.html, in your browser. By Request was recorded originally on a 16-track 2" (3-M model M-56) tape machine using Dolby A, then mixed to Dolby surround premasters on four-track 1/2" Ampex. The mixes were edited and reduced to two track final masters using equalization and level optimization appropriate to the LP technology of the day. Several older tracks were originally recorded and mixed to two track stereo. For this new edition we began with the first generation premasters. This meant we could make an optimum Hi-D 20-bit transfer without any of the previously needed compromises. All tracks were next meticulously fine-tuned, cleaned and optimized, as with the other ESD masters in this series. You may rest assured that this is the best these recordings have ever sounded. This Special Edition of By Request was assembled by Wendy Carlos, including the spiffy new album cover. Graphics mix by Drew Miller; layout, texts, illustrations and images by the composer. Photo of Wendy Carlos by Venon Smith.